The trailer has re-appeared on YouTube! Based on a true story (though it’s not yet clear how faithful it’ll be to that story), the film follows Josephine Peary (Juliette Binoche), who embarks on a “perilous journey to the Arctic north” to find her missing husband, adventurer Robert Peary (whose character isn’t credited anywhere on IMDb, which bodes very poorly for his rescue). According to IndieWire, the official synopsis describes Robert as a man who “prefers glory and ice to the comforts of an upper-class home”; in other words, Robert is out of his damn mind. But his wife still loves him, bless her heart, and is willing to risk freezing to death to find him. Can’t say I’d do the same, Josephine. More power to you, girlfriend. More news as it happens, folks! I will start a new posting as press for the Berlinale premiere begins. Also, Nobody Wants the Night is not only opening the festival as a gala premiere. It is also in the Official Competition section and will vie for the top awards along with the other films in this category. This is great news! Screen Anarchy has an article about the new trailer for Nobody Wants the Night and it includes a bit of shocking information! Set in 1908, Binoche plays Josephine Peary, who sets out on a perilous journey to the Arctic north to search for her missing husband. She is aided by Bram Trevor (Byrne), who appears to be a white tracker/trapper, giving constant warnings of the futility of the trip. Peary forms a bond with an Inuit woman, Allaka (Kukuchi) as braves the unforgiving landscape. 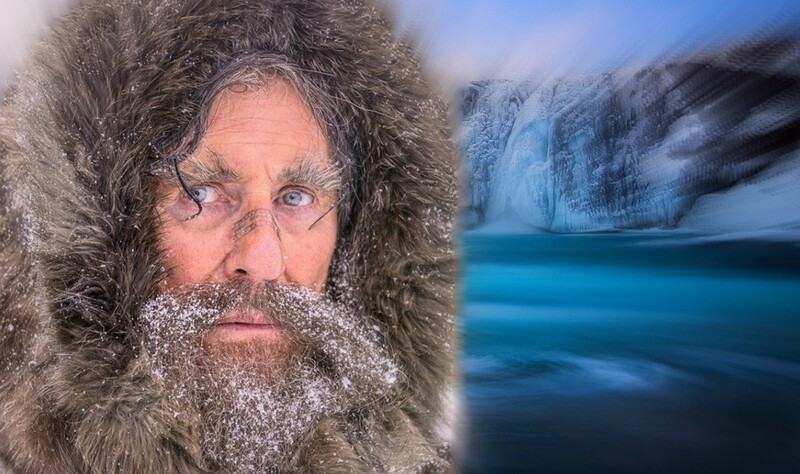 So it seems Mr. Byrne is NOT playing explorer Robert Peary after all. I checked IMDB and they confirm this new information. Not convinced? I found those amazing eyebrows convincing! We shall have to wait for the premiere of the film at the Berlinale on February 5 to find out the truth! The new trailer is at the end of this article–it was tweeted by several folks on January 9. Peary or not? We must wait and see. Greenland, 1909. Josephine Peary is a mature, proud, determined and naive woman, in love with celebrated Arctic adventurer Robert Peary, a man who prefers glory and ice to the comforts of an upper-class home. For him she will face all danger, even risk her own life. Another woman, young but wise, brave and humble – Allaka – is in love with the same man, and expecting his child. The relentless icy landscape both separates and draws these two women together during the long, tense wait for the man they both love in such different ways. Stay tuned for more details, including a report on the premiere and any news about the attendance at the event by Gabriel Byrne! Great story. Excellent cast. Amazing director. Fantastic locations. How excited are you to see this new film?! Thanks for sharing these good news. The movie sounds really great. I hope it will be possible to see the movie in many countries! Nora, I agree with Ardilaun: this film will be shown widely, as all of Coixet’s films have been in the past. I do hope that Mr. Byrne’s role is not as small as it is appearing to be at the moment…we shall see! This movie will be picked up all over the world. just look at those visuals and the the fact it’s opening Berlinale means it’s at least watchable. Judging by the trailer and the updated info I’m wondering if GB’s contribution is not very small. Cote de Pablo has been talking up “The 33” lately, noting it was a wonderful experience to film with Banderas, Binoche, and Byrne (in alphabetical order… LOL). A second editor is not always a bad sign. Let’s wait and see–rumors about films BEFORE we get a chance to actually see them are often just part of the publicity mill. Awaiting this film with great anticipation. Exceptional cast and director. Looking forward to your Berlinale postings Stella. And I still think Mr. B is playing Peary, regardless of what is on IMBD… Haven’t been this excited about a film festival since Emotional Arithmetic screened as the closing film of the Toronto International Film Festival in 2007. The rumor mill says Mr. Byrne will not attend the festival, but we never know, do we? Cross your fingers!